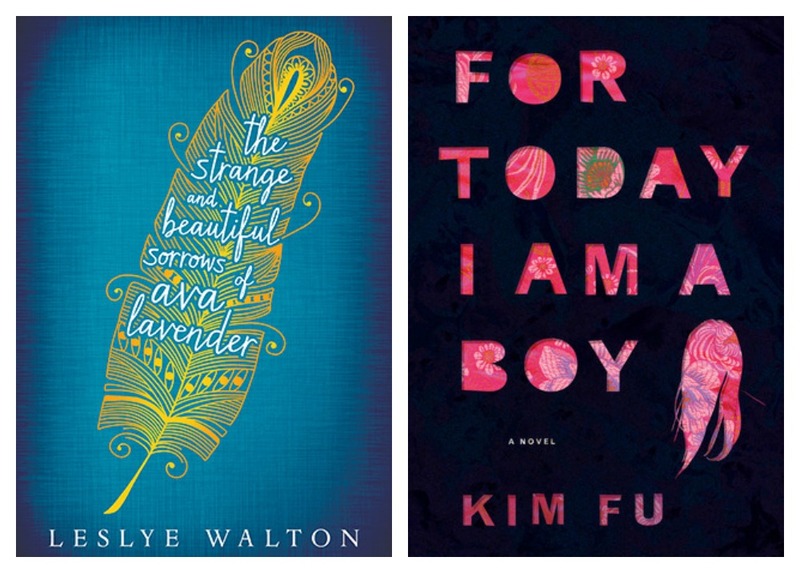 I’m starting the read-a-thon off with two books that aren’t on my original list: The Strange and Beautiful Sorrows of Ava Lavender by Leslye Walton and For Today I Am a Boy by Kim Fu. I also plan on using this post to update my progress as I go. What are you looking forward to reading/doing this week? Monday was fantastic! I started and finished The Strange and Beautiful Sorrows of Ava Lavender. It was filled with beautiful writing and though I didn’t really get attached to any of the characters, it was still a nice book to read. Now I just need to figure out what to read today (Tuesday). Any suggestions? Tuesday was a total reading disaster. I couldn’t figure out what to read so I didn’t do any reading. Plus, this heat was so bad that all I wanted to do was sleep yesterday. Ugh. Today (Wednesday) it’s suppose to be 98 degrees. I can’t hibernate since I have a ton of things to do. Today’s book will either be There is No Dog by Meg Rosoff (a reread) or The Enchanted by Rene Denfeld. Today’s mini-challenge is from My Overstuffed Books. B.o.B. participates are to pair a book with something. My pairing is The Strange and Beautiful Sorrows of Ava Lavender by Leslye Walton and probably French bread. In the book, the main character’s grandmother owns the bakery in their small town and believes bread helps to heal almost anything. I love that idea. It’s warm here but not that humid so I’m still calling it spring. I hope you get a lot of reading done. 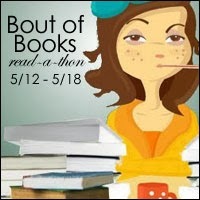 Have a great bout of book 10 readathon week! Beach reading, so jealous. I’m hoping the weather will warm up here so I can at least do some outside reading. This made me giggle, because I’m not reading books on my list either! Good luck! Oh I’ve heard that For Today I Am a Boy is pretty good! Enjoy reading at the beach! Thanks, Lauren. I hope you do the same! Great job! I thought of you yesterday when I got Diane Muldrow’s Everything I need to know I learned from a little golden book from the library . Its comfort food in a book format! This week I plan on reading the only John Green book I haven’t read yet, Paper Towns. I’m really excited about it! Sorry about the heat. I’ve got the Ava Lavender book in a pile and should get to it soon. I’m stalled near the beginning of We Were Liars which is also filled with beautiful and smart writing, but I’m not in the mood for an unreliable narrator. And, french bread? Everyone is making me so hungry today! Come visit me in Alaska. We are still in sweatshirts and jackets. I am begining to crave some beach time. I may have to travel to an island after my time here is done. You’re in Alaska now!! How is it so far? How long are you staying. I am in Alaska now. I love love love it. I feel very at home here and don’t miss the lower 48 or home at all right now. I’m working at a seasonal resort and will be here until end of September. Where I go after that is unknown at this point. I love the idea of just traveling around!! I’m happy that you’re enjoying it.